Food is energy. What we decide to put into our mouth will either feed or harm our body and soul. 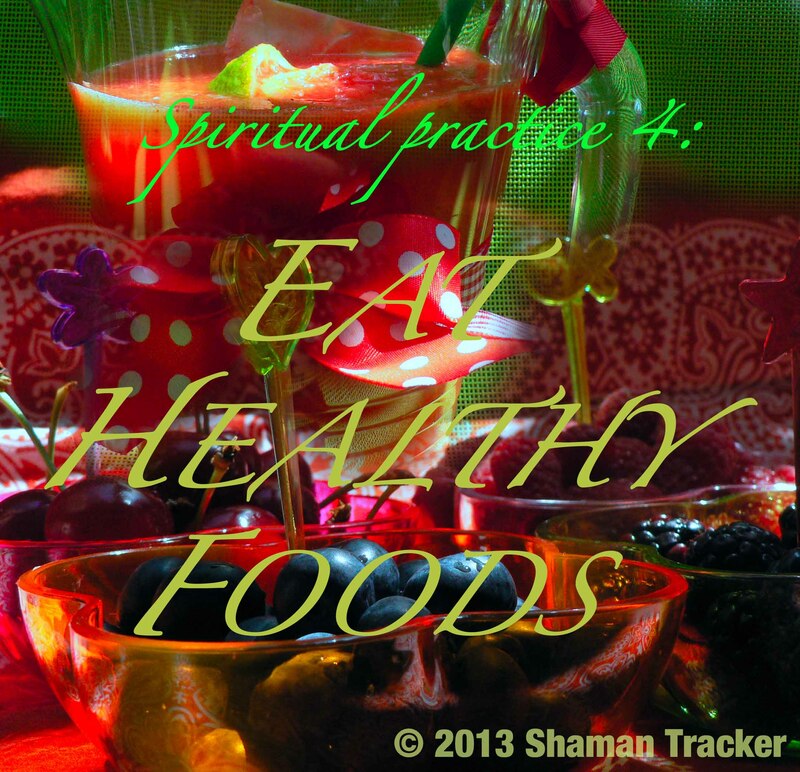 Eating the right foods and drinking lots of clean water help provide balance inside our bodies. A healthy and balanced gut equals a clear and balanced mind. Our modern society doesn’t have a nutrient structure to deal with the stresses and toxins in our daily lives. We are often misinformed about what food is good for us. There is a great chance that our grandparents would not recognize many things we eat today… And If everyone ate as a typical European, we would need 2 planets to feed us by 2050 (it is 4 planets for the American diet). So you gotta do your research and decide your priorities. Food which is good for you is good for the planet! I personally do not eat any meat or meat products, out of respect for nature, for the planet (I ♥ Pachamama), for my own body and for animal (archetype) energies I work with. I try to stay away from dairy, coffee, alcohol, excess sugar, processed and chemically enhanced foods. I call myself a pescetarian because I sometimes enjoy seafood. I love to cook and it is important to me that I use whole and organic foods, or foods coming from a sustainable economy and resources. I am easy going when I eat out, partying, or when I am invited to other people’s places. And I love love ice-cream! But these are my choices. This entry was posted in climate change, conservation, Earth Day, love, nature, planet, power animal, quote, shamanic tracking, shamanism, spirit, spiritual practice and tagged breath, earth, Earth Meditation, exercise, food, healing, meditation, mother nature, nature, planet, plants. Bookmark the permalink. Ahhh thank you so much! I am glad this can work for all. wonderful habits for well-being of all, thanks! At this time it appears like BlogEngine is the top blogging platform out there right now.